The mission of the California Department of Insurance (CDI) is to oversee the vast majority of the insurance industry in California. This involves regulating over 1,500 insurance companies and more than 300,000 agents and brokers in California, as well as approving insurance products before they reach the market. As the largest consumer protection agency in California, CDI is responsible to protect insurance consumers by regulating the industry’s practices and encouraging a healthy marketplace. 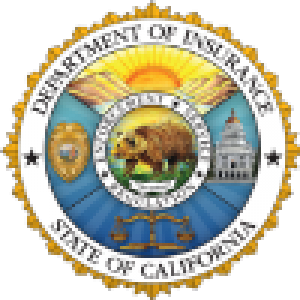 The mission of the California Department of Insurance (CDI) is to oversee the vast majority of the insurance industry in California. This involves regulating over 1,500 insurance companies and more than 300,000 agents and brokers in California, as well as approving insurance products before they reach the market. CDI is the largest consumer protection agency in California. Within CDI, the Corporate Affairs Bureau (CAB) protects California consumers by ensuring that insurers are licensed to do business in California, remain solvent and conduct their affairs in accordance with the law. Insurance companies must submit applications to operate in California, and these documents historically have been paper and payments have been made by check. These applications are reviewed by attorneys in CAB as well other staff in the department. Over 1,200 applications are processed through the department yearly, and thousands of pages of documents are handled by staff. The sheer volume of paper leads to handling, review, distribution and storage issues for the department as well as related issues for Insurance companies that submit the applications. CDI partnered with Delegata to implement a business transaction and payment system called OASIS (Online Assistance System for Insurer Submittals). OASIS enables the CAB to accept electronic delivery of documents, receive payments by credit card, and in-house online sharing & processing of documents through automated workflows. In addition to managing and implementing OASIS, Delegata utilized its Insourcing approach and partnered with CDI to conduct thorough transfer of knowledge and ownership so that new processes and systems are effectively integrated and managed by the CDI team. CalPERS, the largest public retirement system in the nation, provides retirement and health benefits to more than 1.6 million members and 3,000 employers. To better serve its members, reduce costs, and improve operational efficiencies, CalPERS partnered with Delegata and developed an Internet-based application for partner communications. The Automated Communication Exchange System (ACES) portal was developed to provide the people, process and technology links for CalPERS’ new G2G/G2B platform. Featuring online data entry forms, file transfers, inquiry, and billing capabilities for critical operations, ACES effectively meets the needs of CalPERS and its employer partners. CalPERS provides more than 1,800 unique benefits affecting its employers, providers, and members. They wanted to enhance the processes that supported their business, making them more scalable to support a larger number of employer partners without significantly increasing staff or costs. CalPERS recognized that their existing processes could be tightly integrated – reducing errors and time consumption. In short, they needed a robust, cost-effective, scalable tool to support a significant increase in health insurance benefits and speed-up information flow. In a dynamic world where funding sources and distributions can require complicated business rules, challenges increase when one organization needs to manage to multiple, variable sets of rules. Some organizations find it impossible to respond quickly enough to business needs in this environment. Furthermore, claim processing is subject to outstanding obligations from fund pools and payments must still be reconciled for compliance. Often, separate claim schedules are required for different types of payments, with systems frequently unable to provide sufficient reporting or status visibility. Audit capabilities are often not supported, and accounting practices are codified in legacy systems, making change difficult. The organization mission is threatened by cost, compliance and performance factors. Business performance should not be hostage to information technology (IT) development at each change in simple mathematical business rules. People need to have the functionality to perform their roles adequately without continuous IT assistance. Once the full lifecycle of activity is represented in process, the organization can decide what automation is required to effectively enable the business. As these roles gain new capability to facilitate performance, they also need to prepare for these new roles when the new system is implemented. Often a single party is asked to aggregate funds from multiple sources and use them for specific purposes according to business rules. As a program is defined to establish a flexible, accountable system to allow for aggregating funds and then control distribution of funds, according to certain rules, the components within this solution become highly useful. Implemented as a functional application and tool to control apportionments in a large government organization, the architecture of the components allows for flexible adjustment to business needs. While in the past, each situation had to be coded into a separate system, today, with the unique capability for business people to establish rules for distribution of funding, the business gains complete control of the financial process. Building in systemic audit and reconciliation capabilities, allows for business control and verification to ensure fiduciary responsibilities. This solution has one of the more profound benefits possible; business program staff have the flexibility to configure their own system to comply with any set of fiscal rules. IT support is no longer required to build a unique system each time. Manual processing is eliminated and audit functionality provides for greater ease in verifying compliance. The business reputation is significantly improved for accuracy of payments, reduction in rework, complete use of funds, accurate reporting of status and many other benefits that seem individually small, but add up to a business capability that is unmatched. Internally the cost of performance is also very low through automation and reduction in system support requirements. Historical performance is becoming less and less competitive; methods employed for mass production can’t accommodate mass customization. Resources are not engaged in growing the business since they have been accustomed to execute the plan, process and procedures. Even acquired businesses lose their edge in markets they serve since economic conditions outpace demonstrated ability to grow. Best resources cannot be retained to deliver best products and services to clients during economic up-turns; and client satisfaction is flat even where relationships are strong. At times micro-management is required to ensure delivery to clients. Culture change is difficult. Consulting engagements rarely are effective unless the client organization commits to changing the culture and owns the responsibility to drive the new culture through the organization. Specific activity must lead to measurable results in reasonable time frames. Practice needs to be hands-on in an operational environment to set the tone and example of the new environment. The organization has to learn who they are, then who they want to become. Values, vision and strategy must be shared so that all parties understand that there is something in it for them. With the state of global competition, organizations find that their people need to be prepared to perform at significantly different levels to sustain market share or service satisfaction. Transitioning culture requires more than establishing and distributing responsibility and authority for goals and objectives. Individuals will need to learn completely new skills; work may have to be automated to allow individuals increased responsibility for analysis and decision-making rather than role execution. The transition requires strong orchestration and alignment from the desired business model to appropriate roles, skills, expectations, and systems. Training, knowledge transfer, mentoring and many other competency development activities will be required and some personnel will never be able to make the transition. Accelerating this solution implementation will be highly based on the ability to ensure people can act competently in new roles with support systems to ensure performance does not break down, even under the pressure of unusual circumstances. This solution has proven to engage employees in defining the business and its required results. Employees appreciate empowerment and begin to exercise authority with better performance. More people engage to help each other to learn and execute to the benefit of all. Excellence is recognized and celebrated, leading others to set their own goals and objectives and to also be recognized. Information is made available to enhance performance in ways that improve productivity and utilization. Service levels improve significantly, there is energy in the workplace, and people are much less likely to leave. Enterprises find it impossible to get involved enough during projects to be competent in managing the results. Concurrently, vendors are pressured for revenue placing the enterprise under constant, aggressive solicitation for opportunity. There is a tendency for organizations to become dependent upon vendors, especially when knowledge transfer is incomplete and client staff members are not ready to operate new systems. Since the organization can’t always specify what will not only complete a system, but what will also make them competent at running it, there is a responsibility that a caring provider can assume to help clients achieve success. A service and solutions provider cannot be successful unless their clients are successful. While outsourcing pressure is strong, enterprises are also seeking new ways to enhance their core competencies; service and solutions firms need to help bridge that gap. When companies don’t value employees and employees don’t value their company, service and solutions firms will struggle for quality; so, caring is essential to quality internally and that translates to quality for clients externally. In-Sourcing requires caring enough about clients to enable their business to operate without forming a dependence on the consulting organization. Consulting, system integration, and related business models have proven to be significantly punishing to enterprises. Evidence indicates a diminishing internal enterprise competency to operate newly-implemented business systems, and an increasing dependence on external vendors. Yet, the reality is that large transformations and projects can deliver on their promises and concurrently build internal competence with very slight shifts in emphasis. By having an internally caring culture for client success and a critical nature for correcting implementation variances, an organization can offer a significantly different value proposition. This value proposition places the client in control, not only of project success, but in the ability to competently operate new systems once deployed. In-sourcing reduces dependency and increases autonomy for core business functions. True partnership and trust in a services and solutions provider can return through the delivery of customer-first benefits. This solution has resulted in many client benefits through advance preparation and appropriate focus. By understanding potential impact, measures are taken that result in reduced post-project operations or outsourcing costs; and handling project impacts to cost and schedule well below industry averages. By understanding the need for enabling individuals with new competencies, activities get them involved in events to avoid immediate impact, while building new system capability. By self-correcting problems, clients do not have to constantly take formal actions but rather build trust so that they can spend their valuable time learning the new system. In the end, caring means empowering client organizations, because they are no longer dependent and are now building their own capability and capacity to excel. Change initiatives often fail (even when technology works) because of people. Those outside the project staff commonly build resistance that seems proportional to project size. Since people take much longer to adapt to new ways than it takes to change the ways they work, the cycle seems impossible to stop without proactive, cultural intervention. Hardworking employees react negatively when they are not taken into consideration during change initiatives. Productivity dips following change initiatives even under the best of circumstances, and the fact that training is not always initially effective continues to build the case for much more emphasis on people in change initiatives. People must be at the core of every change. In truth, the most common business problems can be best understood by those that have to live with them every day, so excluding this input can be very defeating. People work better in collaborative atmospheres, and it is important to get their opinions on the future of the organization. Even though each culture has a different set of acceptable norms that dictate participatory boundaries, participation is key to acceptance. Participation and ownership are keys to obtaining buy-in; what people build they will support and make work. Modern organizations must continually change to keep pace with changes in business and society. Where consistency and mass production were once the norm, today customization and meeting the needs of each customer has become the norm, requiring organizations to rethink how they approach fundamental performance within the enterprise. Quality is achieved through process, yet the processes of today need to allow flexibility and provide information to performers so they can build change skills. There need to be processes to keep people informed and educated on change initiatives and then to help with that evolution. Managing impacts of change may initially be somewhat reactive, yet as strengths in change management develop, the activity becomes more proactive and helps to build a culture of acceptance for change, one that is focused on delivery excellence at each unique opportunity. When individuals gain a greater understanding of the need for changes they more readily buy into them. A training mentality often transforms into a learning culture built on experience and innovation. New roles and skills are mutually developed to aid learning and outcome effectiveness. Organizations grow in their capacity to understand the lifecycle used to help people change. Awareness grows significantly to appreciate the potential for anxiety, mistrust and other negative factors as well as for techniques to lead people through change. Leaders learn to listen and find less reason to invoke authority to force change. The whole lifecycle of change becomes less disruptive due to continuous attention to developing a culture accepting and thriving in change. Ultimately people are ready for the new system to start operations. In response to perceived public need, legislators decide and demand compliance that often causes significant chaos in initiating programs – especially because laws can be difficult to interpret. Unlike the private sector, enhancements to public service beyond the law often equate to breaking the law. Since the capability may have aggressive milestones for implementation, it is critical to realize that speed and accuracy are difficult partners in system implementation. Implementation necessitates detailed requirements, making it easy to fail to validate sufficient business capability for compliance once all the implementation pieces come together. In addition, large changes often stress organizations already stretched to deliver former mandates, causing the program to need significant help to implement. There is no easy answer without consistent methodology or solutions. It is best to follow potential legislation long before it becomes law. As items demonstrate sufficient support to become law, there needs to be active planning to ensure the impact and opportunity windows are communicated to help avoid decisions with severe repercussions. Plans may have to take alternative competing strategies to get something implemented quickly and to get the right item implemented when possible. Throughout implementation it is critical to ensure continuous comparison with published law, communicating among stakeholders to ensure alignment to effective and efficient realization of capability. Ultimately, plan for completeness and establish fundamentals to build gradually from a minimally compliant capability. Organizations that exist by legislated mandate must provide the directed services and products in the time specified. This timetable can be challenging given that new legislation may not take into account the difficulty in establishing required capability. As new requirements formulate, the vigilant enterprise should interact with legislators to help them understand the difficulties associated with the implementation. The solution components are organized to establish fundamentals first with initial operational capability focused on required timeframes with at least minimum service levels intact. Program growth and capability enhancement and sustainment is also planned to help the organization continue to mature. he reality of the legislative process requires solutions that ensure compliance. This solution allows for preparation that enhances possibility of implementation within difficult timeframes. Techniques are used to validate that expectations are met along with the detailed requirements. Architectural components help to avoid silo mentality to build from a more efficient and complete business model. Skill and competency models help to align people; performance models help to align performance; and integration models help to align partners delivering on compliance issues. Fines and other repercussions are avoided by meeting mandates. Lawsuits are avoided for compliance. Finally, the organization reputation remains intact or is improved.